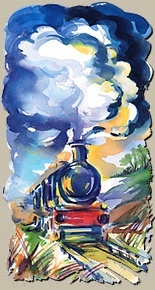 Glimmer Train (1990 – October 2010) Respected literary magazine Glimmer Train died of exhaustion yesterday evening, having finally succumbed to the strain of ‘going full steam ahead’ to ‘present stories in a handsome physical publication that people would keep.’ The literary community will fondly keep alive the memory of Glimmer Train by storing the colorfully illustrated issues in English Department libraries across the country. Glimmer Train is survived by its two founding editors, sisters Susan and Linda, and by approximately 22,250 contest finalists, many of whom will console themselves by listing the meaningless accolade in their submission cover letters. Funeral services will be held on Saturday, October 30th, 2010 at 2:30 PM, 1211 Glisan Street, Suite 207, Portland, OR 97209. Glimmer Train will be buried next to its siblings, Iron Horse Literary Review and Night Train, may they all rest in peace. Tin House (May 1999 – October 2010) Bi-coastal purveyor of literary culture, Tin House passed away on Monday after a long battle with alcoholism. Tin House will be remembered for its tin-sided Portland office, now an iconic landmark to many literary acolytes; its popular writer’s conference, at which authors could add their voice to the desperate din; and its less popular ‘New Voices’ magazine feature, occasional evidence of the staff’s tin ear. Memorial services (Theme TBA) to be held Sunday on the hallowed grounds of Reed College, Steve Almond officiating. In lieu of flowers, please send receipts of your latest purchases from a bookstore. If you cannot provide a receipt, please send a written explanation in 100 words or less.